Homeowners today are concerned about energy efficiency in their homes for a couple of reasons. First, with the high cost of energy, keeping utility bills under control requires using energy-efficient materials. Secondly, many are also looking for eco-friendly products that reduce their home’s impact on the environment. Which type of siding does the most to make your home energy efficient? The top choices are insulated steel, vinyl or aluminum siding. Here’s a look at your options when it comes to energy efficiency and home siding. The truth is, no standard siding material offers very good efficiency. 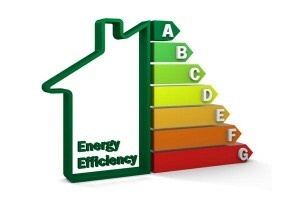 The energy efficiency for building materials is known as R-value. The higher the R-value, the more efficient the building material is. Most energy experts suggest that your home’s walls should have at least an R-13 energy efficiency. In fact, that is code in many areas. An R-15 or R-18 can be achieved by using 2×6 construction instead of 2×4 construction. 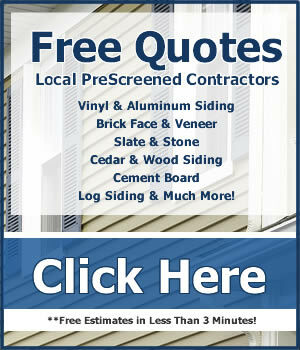 Most siding materials have an R-value of less than 1! That includes standard vinyl, steel or aluminum siding without added foam insulation. Here’s a brief list of siding materials and their R-values. As you can see, none of these is going to make a significant difference by itself in lowering your energy use or your energy costs. When you choose one of these siding products backed with quality foam insulation, you will increase the R-value of the siding to 3.0-4.0. That’s a remarkable improvement, and that will make a tangible difference in how much energy is saved in your home. Is Energy Efficiency a Cost-Effective Choice for You? If you are building a home, the extra cost of insulated siding will be better spent on upgrading from 2×4 construction to 2×6 construction in the walls or by choosing a better insulation product. If you are re-siding an existing home, then adding insulated siding is your most cost-effective choice for making your home an energy-miser. These tips for a green home will also lower your utility bills. Get a programmable thermostat and use it to turn down the heating/cooling system when no one is home or when everyone is sleeping. Add insulation to the attic and weatherstripping to doors and windows. Properly vent your attic, especially in warm climates. And when it is in the budget, replace those windows and doors with Energy Star rated products that will make your home more energy-efficient in all seasons.